The 2017 Supreme S211 measures just under 21 feet while packing the World Class performance and accommodation of a much larger towboat at a huge value. S211 performance begins with the wave- making Surftech-V Hull, complimented by QuickFill Ballast, Plug and Play Ballast and the ultra convenient QuickSurf System all pushed by high performance PCM Engines. 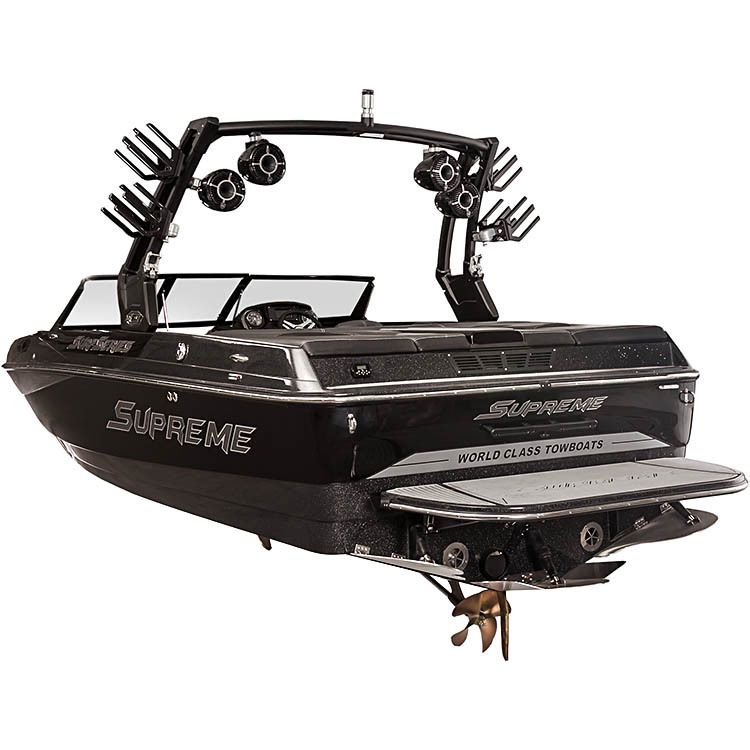 This new model from Supreme Boats handles and performs like a 21 foot model, but is much larger and more luxurious inside than you would ever expect. 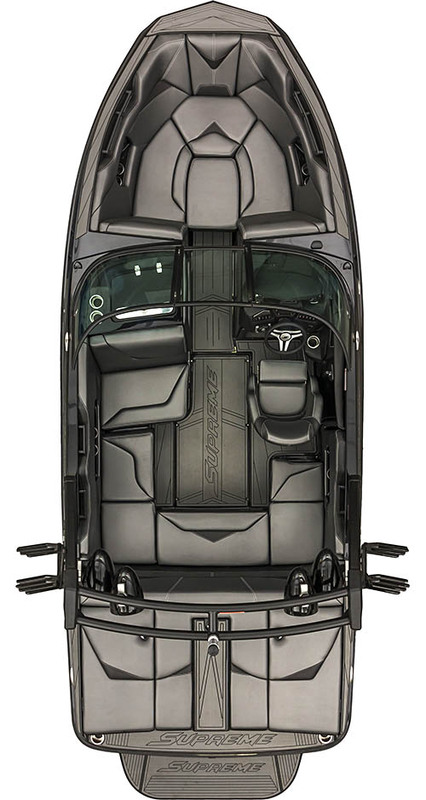 The seemingly traditional modified v- bow offers spacious lounge comfort. Colors are customizable so each S211 has a unique style. The new Octo Tower adds another level of cool to the S211 with clean lines and bulletproof construction. 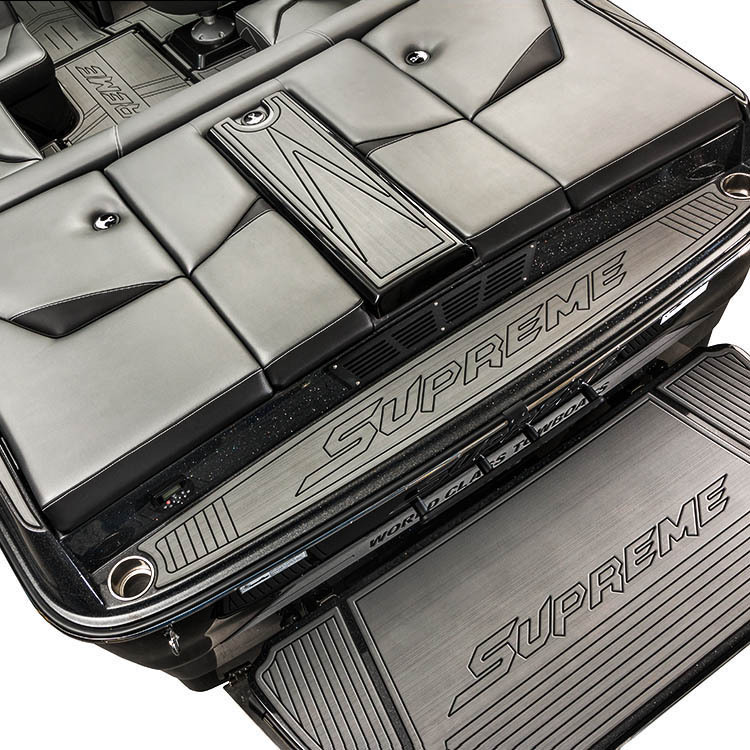 Built with the goal of strength and longevity in spite of its price point; the Supreme S211 benefits from a host of premium materials and components you would typically expect to find on large top-of-the-line models. The Surftech V Hull is the foundation of the S211’s wake performance, but the seamless integration of handling and power make it a World Class Towboat. This hull design also creates a better rough water ride by cutting through the chop with its acutely angled keel. With the perfect placement of the new large SmoothTrack Fin the S211 stays straight even with an aggressive rider in tow. The 52 square inches of fin surface area also act as an amazing pivot point under the S211, significantly improving slow and high speed handling as well as navigating in reverse. 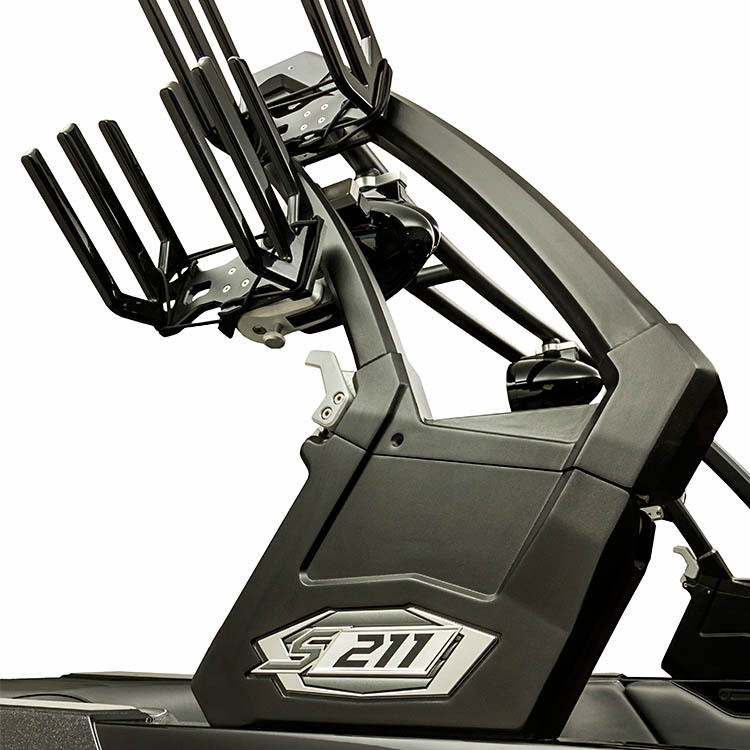 Powered by GM Marine Engines from PCM, the S211 comes standard with the forceful EX3 engine, optimized by a 1.72 X 1 gear reduction and specific propping for instantaneous take-offs. You can upgrade to the GM Marine L96 or H6DI by PCM for even more pulling power. The powertrain features torque optimized propping and gearing to fully utilize the extremely efficient power of a direct injection GM engine. 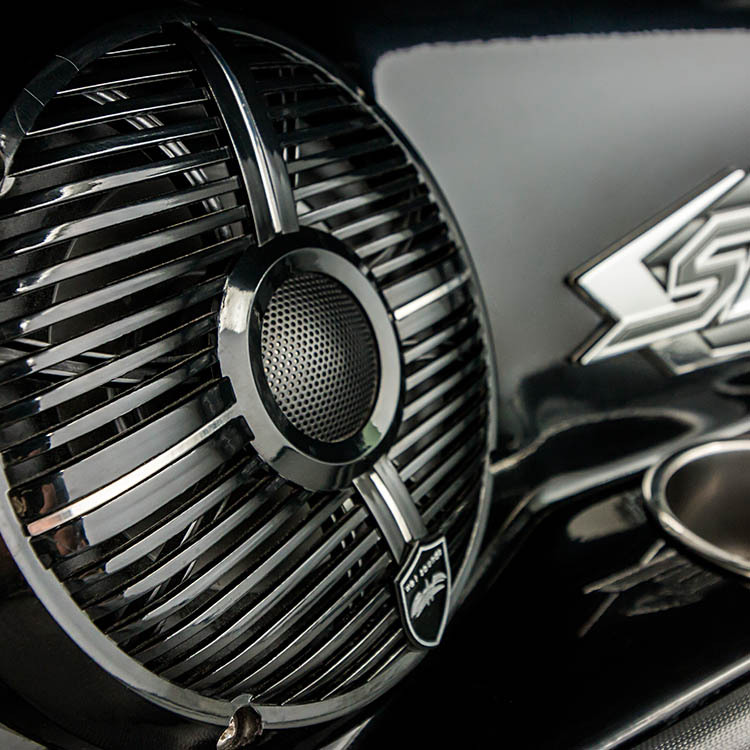 With 5 years of warranty these engines provide as much piece of mind as they do mind-blowing performance. Grab your shorts and let’s go take a surf set behind the S211! 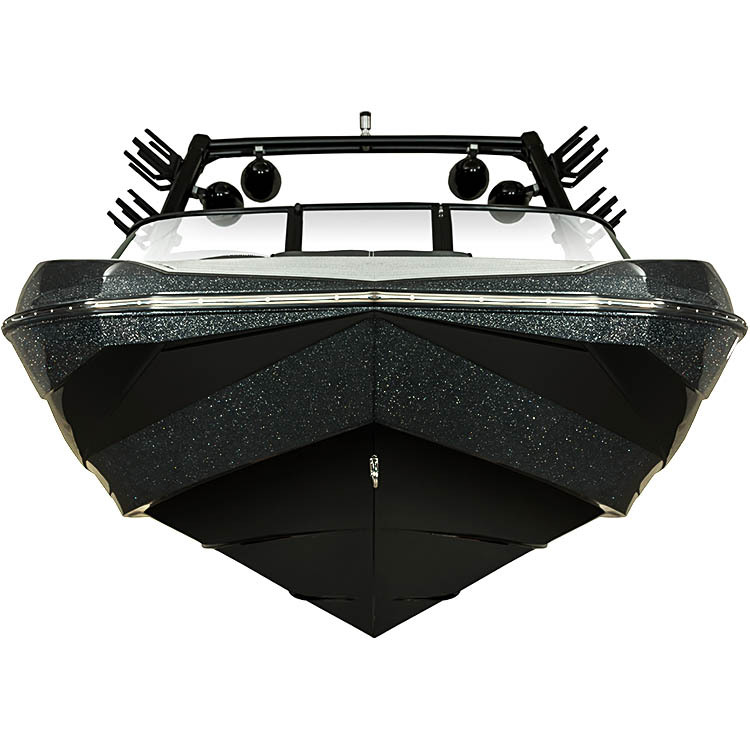 The S211 features a unique hull design that will slice through chop better than any other 21 foot boat out there. Big open water is no worries with this boat that will outperform most boats 23 feet and longer in tough conditions. The S211 offers up a large swim platform and rear bench seat lined in premium GatorStep traction. Opt for the rear walk-through platform and you have a premium experience on the back of this amazing vessel. 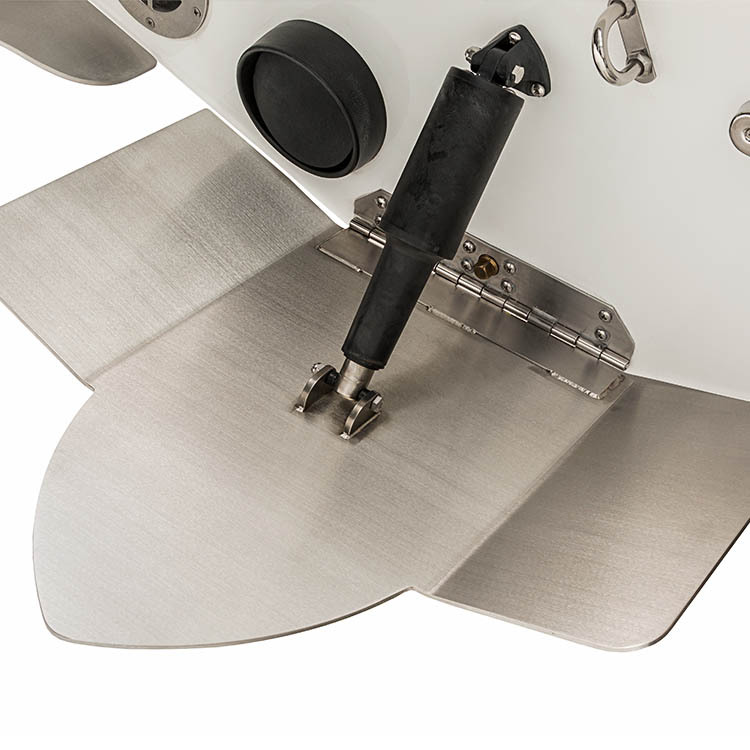 The S211 runs on the Surftech V hull design with QuickSurf and the new Stinger Wake Plate. These features serve up top notch wakeboard wakes and mind blowing surf waves with incredible efficiency. When you first see the length of the S211 you you probably think you’re dealing with a cramped and confined seating area with no bow space, until you step inside. The cockpit of the S211 is larger than a number of 23 foot boats and features Supreme’s deluxe finishing. Even more shocking – the bow is large enough for 3 adults to lay out and soak up some sun. This “value class” boat is ready to blow your mind. The new line of Supreme boats come equipped with the new SeeTouch full color touchscreen dash command system. The large screen is easy to see regardless of light conditions and puts all of the essential controls for your boat literally at your fingertips. With Zero Off GPS Cruise Controls, ballast measurements, Quicksurf and Stinger Plate adjustability and full instrumentation the SeeTouch dash is a significant step above what you might expect.